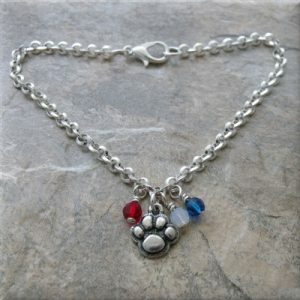 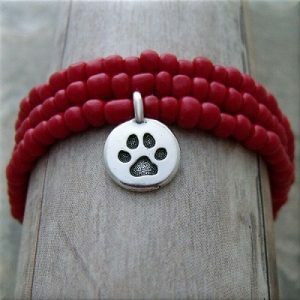 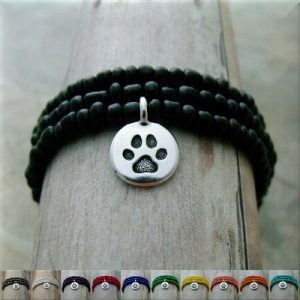 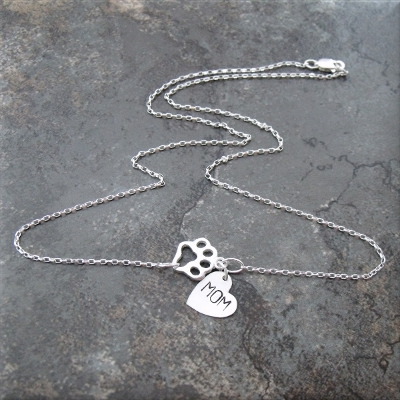 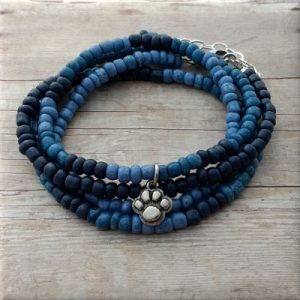 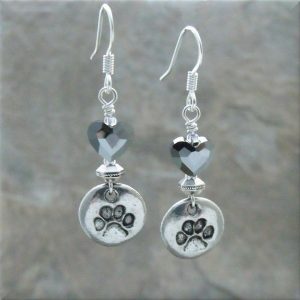 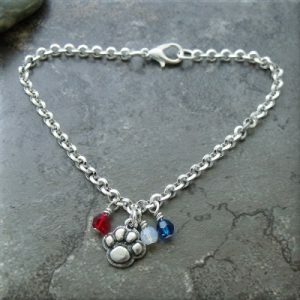 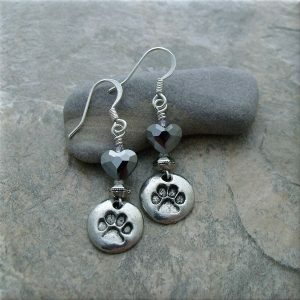 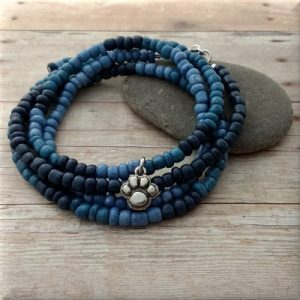 This Paw Mom sterling necklace is the perfect gift for yourself or any dog or cat mom! 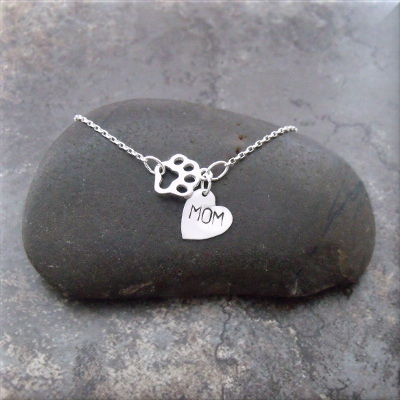 Made with all sterling silver components and a hand-stamped heart with “MOM” inside. 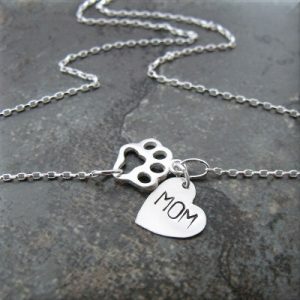 Tell the world your kids have paws!